On What Matters is a major work in moral philosophy. It is the long-awaited follow-up to Derek Parfit's 1984 book Reasons and Persons, one of the landmarks of twentieth-century philosophy. 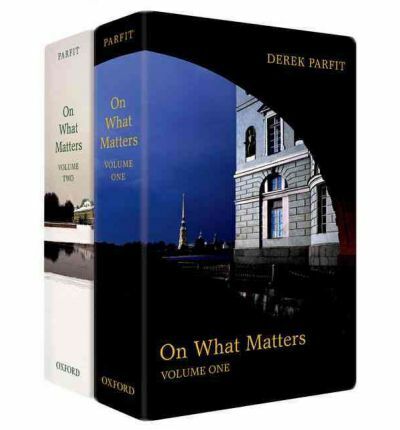 In this first volume Parfit presents a powerful new treatment of reasons and rationality, and a critical examination of three systematic moral theories — Kant's ethics, contractualism, and consequentialism — leading to his own ground-breaking synthetic conclusion. Along the way he discusses a wide range of moral issues, such as the significance of consent, treating people as a means rather than an end, and free will and responsibility. On What Matters is already the most-discussed work in moral philosophy: its publication is likely to establish it as a modern classic which everyone working on moral philosophy will have to read, and which many others will turn to for stimulation and illumination.